English and European words such as alphabet, earth, loco and habitat could come from Hebrew, according to an independent Israeli linguistics researcher who has written a number of unpublished dictionaries, articles and books. Researchers can make inferences based on studying the roots of words and their meanings, trying to piece together their history, though it’s far from an exact science. Modern works on the subject are lacking, and one Israeli — Tony Daccre Barat, 73, born in Romania and now living in Akko, Israel — has studied linguistics on his own as a hobby for the past four decades. He and his wife, who has a Ph.D. in architecture, live on a paltry stipend from the government of $1,200 a month. Tony knows Hebrew, Yiddish, Romanian, French, English and some in other languages. In 1951, he immigrated to Israel with his family and served in the army, studied political science at Haifa University, and later studied linguistics for one year in Paris. Barat noticed during his studies in Paris that nobody was making the links from European languages to Hebrew, and that there was no desire to do so. “Hebrew is a much older language as well, so it makes sense the roots of words go back before Latin or Greek,” he theorized. In 1990, Barat returned to Romania and started a consulting company with his wife, assisting Israeli investors. 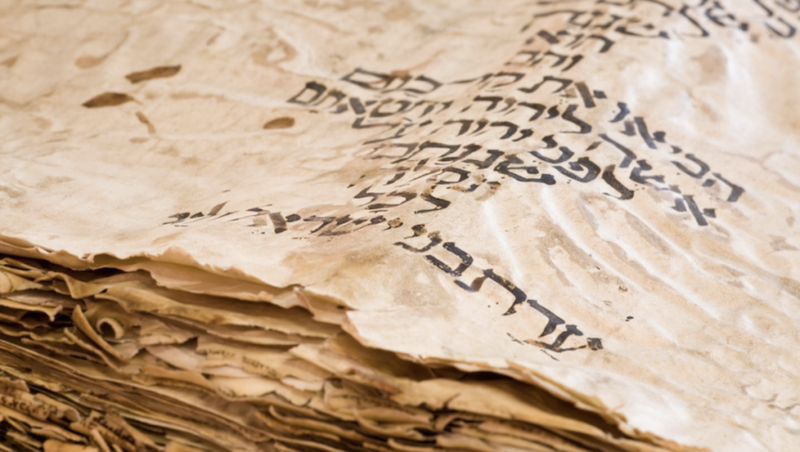 Scholarship exists on the connection between Hebrew and European languages, noted Barat, adding that he has around 1,500 books in his personal library that touch on the subject, often indirectly. Barat has many theories regarding the Hebrew roots of certain European language words. Take the word “earth” in English, which in Hebrew is eretz, or the word more associated with land, adama. In Arabic, it is ard, German erde, and in Romanian tara. The ending of these words can have differing pronunciations whether ending with a “se,” “te” or “de” sound. If you experiment with the different ending accent on these words, they sound quite similar. Or, for example, the word “phrase” (which is the same in French), which Barat concludes comes from the Hebrew three-letter root paras or faras from the word לפרש, meaning to interpret. In Spanish, the word is frase, in Romanian fraza as well, and the same sound in Russia (фраза). The Online Etymology Dictionary says the word comes from the Greek frasi (φράση), but Barat infers it originates in Hebrew. The word loco in Spanish means “crazy,” “distraught” or “deranged,” and according to dictionaries it comes from the Andalusian Arabic lawqa, signifying a foolish person. Barat theorizes that it comes from the Hebrew word laka (לקה), meaning to be defective, to become ill or to receive lashes. In Aramaic (a Semitic language that replaced Hebrew for local Jews and which was displaced by Arabic in the seventh-century C.E. ), laka means to be stricken with a disease. The Hebrew word likui means suffering from a deficiency. Professor Gerald Leonard Cohen, an expert in etymology at the department of arts, languages and philosophy at the Missouri University of Science and Technology, told JNS that Barat’s arguments would receive sharp criticism from academics, who would point out the weaknesses in his suggestions. “Their alphabet became the basis of the Greek alphabet,” it stated. Cohen noted that “the Greeks borrowed the alphabet from the Phoenicians, making several changes along the way.” For instance, the Phoenician language did not have letters for vowels, and so Greek needed to develop them. And aleph bet (alphabet) wound up as alphabēt-os in Greek.